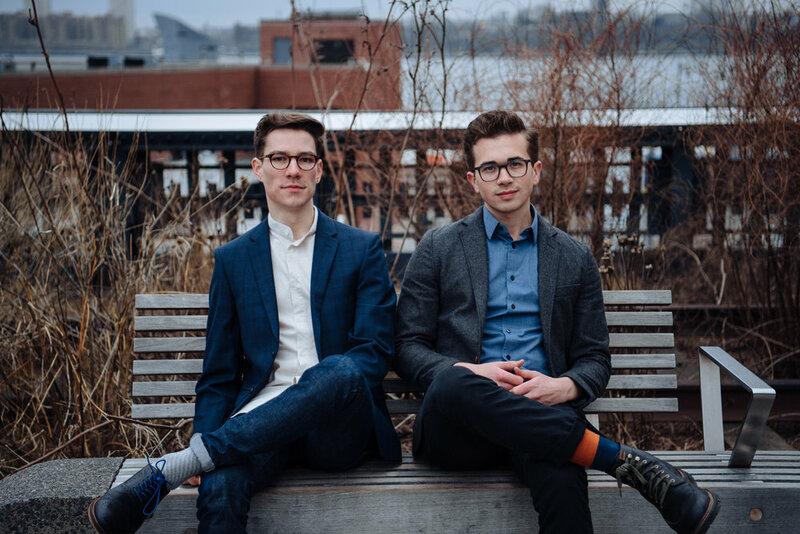 Conduit is a musical group co-founded by long-time friends and collaborators Zach Manzi (clarinet) and Evan Saddler (percussion). The group is currently in residence at the Frost School of Music at University of Miami as the Knight Fellowship Ensemble. Conduit’s objective in this residency is to build their group, design and produce three alternative concert formats for millennial-aged audiences in Miami, and share what they are learning with undergraduate musicians in the Stamps Scholars program at Frost. In creating the alternative formats, Conduit is using a creative approach to problem solving called design thinking. This approach is borrowed from fields like tech and business, and involves observing and interviewing target audience members, generating numerous ideas about new kinds of experiences for them, testing the ideas with prototypes, and producing full-scale pilot performances. As part of this residency, Conduit will be commissioning several new works, completing a certification in foundations of design thinking with IDEO U, traveling for performances and festivals, getting to know millennials in Miami, and sharing their experiences on Medium. Conduit began its adventure premiering new work in 2017 as part of the Lewis Center for the Arts opening at Princeton University. At this event, Conduit performed its first commission Comfort Patterns, a work composed by Anna Meadors that reflects the obsessive relationship between humans and digital technology. Conduit recently created a multi-disciplinary experience called (Dis)connect, which further explored the relationship between humans and technology, performed at The Juilliard School. They also recently completed a residency at Avaloch Farm Music Institute and appeared on the 2018 Madison New Music Festival in Wisconsin. Sign up to receive our quarterly newsletter with updates and future happenings! We will never share your information with third parties. We respect your privacy!